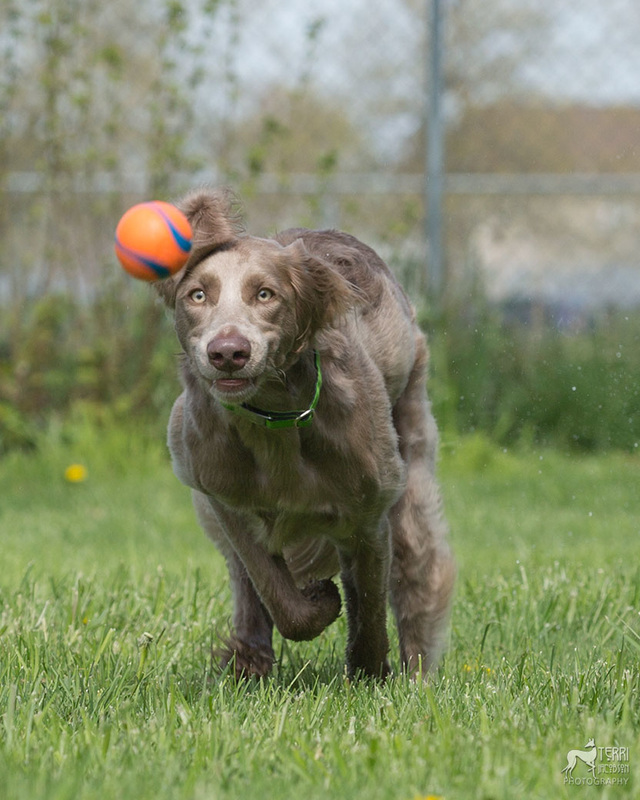 The long-haired Weimaraner is sometimes referred to as the other Weimaraner; it is not well-known in the United States. When people talk about the Weimaraner, they almost without exception mean the more common smooth-coated or short-haired gray variety. Frequently, people who see their first long-hair, question whether it is a pure-bred or not. Despite the obscurity, (this other) Weimaraner's fan club continues to add new members. Admirers are growing in numbers. Nevertheless, overall in American the longhair Weimaraner remains relatively unknown. Throughout the world, Breed Clubs have embraced the Longhair. They have become a favorite among fanciers who are open to the tail and feathering. In nearly every other country, the Longhair Weimaraner is welcome to compete in Show as well as the Field events. For some, they are the favored Weim. The anonymity is closely tied to the Weimaraner Club of America's Longhair status. They are yet to embrace the cousins who share the same DNA heritage. Please refer to the breed standard which is posted in the right-hand column. Change is said to be coming; however, it has been slow to validate the Longhair status. Please note: Members of the WCA voted against adding the LH Weimaraner into the American standard. The LH coat is a disqualifying fault in the United States. The LH is a natural recessive gene in the Weimaraner and is not a disqualifying fault in many other countries. The WCA provides some information, but this doesn't mean it is meant for the purpose of an endorsement--nor does it constitute approval of the longhaired Weimaraner by the Weimaraner Club of America. Deviation in height of more than one inch from standard either way. A distinctly long coat. A distinctly blue or black coat (Approved December 14, 1971). Note: The above excepts were taken from the WCA Website. Here are links where you can find expanded information on these comments as well as the full AKC Breed Standard. Copyright © 2017-8 Blue Creek Kennel. All rights reserved.